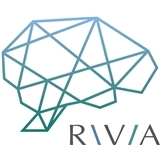 Rivia Medical (New York) - Book Appointment Online! We believe in a holistic approach to mental health, with a focus on both treatment and prevention. We believe in listening to each patient and creating a partnership to work on maintaining and improving lifelong health. This includes creating a personalized treatment plan, which incorporates the best evidence-based care, but which also takes into account your circumstances, your perspective, your goals and expectations. She is the only therapist who ever took me seriously and I am very grateful for her help along this journey. Highly recommend. Lee is very personable and I feel like I've made a lot of improvements with my life since coming to see her.